Offering you a complete choice of products which include timing pulley, ci pulleys and drum pulleys. We provide an exclusive array of Timing Pulleys in compliance with international quality standards. These timing pulleys are offered with Uniroyal (Gates) power grip timing belts that are constructed with gear like teeth, to engage with matching grooves in the pulleys. This allows positive or perfectly synchronous speed drive along with combining the flexibility of belt drive with the advantage of chain and gear drives. 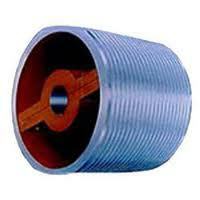 We are a leading manufacturer and exporter of CI Pulleys. Fabricated from finest quality raw material, these Chain Couplings find diverse application in various industries. 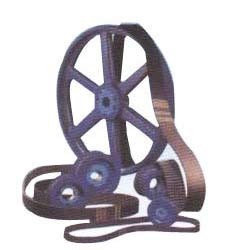 We are a leading manufacturer and exporter of Drum Pulleys. Fabricated from finest quality raw material, they find diverse application in various industries.